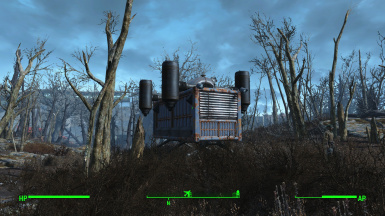 A compact mobile player home. !DISCLAIMER! - I know the mod page is not that great.If you like the mod and have the capabilities consider PMing me to help out spicing it up. -This mod was created using Bethesda's CK 2.0 only. -A big bag of credit goes to Kinggath, author of the Salvage Beacons mod for helping me figure a lot of stuff out. 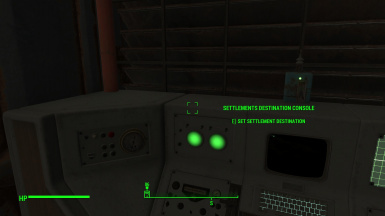 -Credit goes to Chesko too,for pointing me in the right direction regarding settlement landing pads. NEW in v 1.1 -Added 15 custom landing zone slots.Craft LZ kits at a chem station.Drop one to place a landing zone to the player's feet. NEW in v 1.2-Nothing new...just satisfying my OCD.Removed unused stuff and recompiled the scripts. !NEW IN V 1.3! 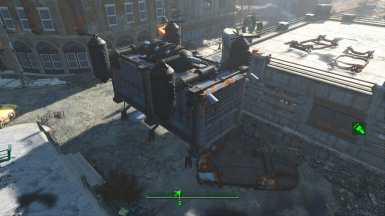 -Remove DlC dependencies (Far Harbor Island & Nuka World Wasteland still supported however) .Removed ALL fixed destinations (replaced with landing pads and landing zones markers).You can now build landing pads in settlements for the VTO to land on.You can now craft LZKits at a chem station.In the misc category,click on the LZKit kit and close the pipboy to access the LZ placement menu.There are 15 numbered slots and 15 named slots for LZs.There are no quest markers for the placed LZs yet,so I advise writing down where you have placed your landing zones. With this release the he damage chance on travel has been reduced to 5 %. As stated above you now have to actively place landing zones and pads to add destinations,since all old handplaced destinations are gone. A clean save is greatly advised to update to this version since a lot of scripts have been recompiled.Just make sure to take your belongings from the vto before updating. !! 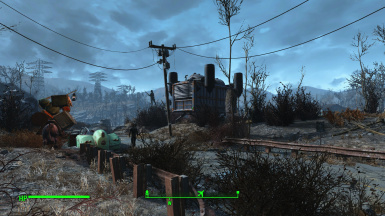 !The supported worldspaces are :The Commonwealth-Far Farbor Island-Nuka World wasteland.!!! NEW in v 1.3.5-Added 11 more named LZ slots to complete the set.Added script to the door so that your followers wont be left behind or lost. (This last feature will work even if they are in a "Wait" state,they'll resume waiting on the other side of the door).As always a clean install is advised. NEW in v 1.4-Reworked the exterior model of the VTO. NEW in v 1.4.1-Moved the internal fuxebox power source so it is accessible again. 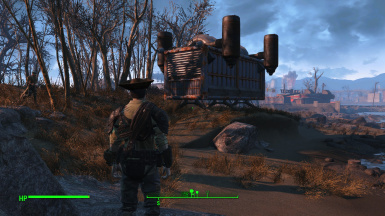 This mod offers the player a new alternative way to move across the Commonwealth (and to lug all that junk you like picking up from all kinds of filthy places. 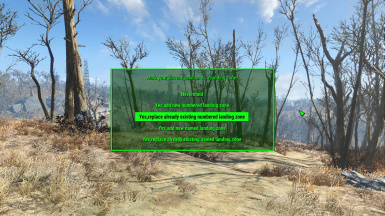 It does so by providing you an hybrid between a fast travel and a player home/settlement mod. This hybrid takes the form of the VTO (Vertical Takeoff Outpost),a big shipping container that someone, somewhere outfitted with flying capabilities. 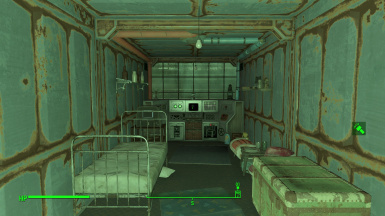 The VTO allows the player to have a small interior settlement (like Home Plate) that can be moved to predefined locations in the Commonwealth unlockable through normal gameplay. 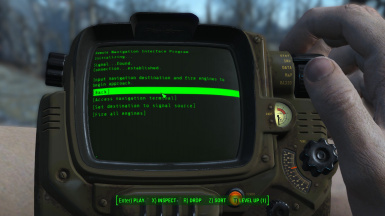 The player can also acquire means to operate the VTO remotely, and to have it travel to the player himself if needed. It's not all fun and games however. The VTO is coolant-hungry and requires maintenance when something goes wrong. Having a handy mobile outpost outfitted with all your favorite comforts will always make you feel at home away from home. The VTO can be found in Lexington, precariously hidden between the Super Duper Mart and the multilevel parking lot. It's damaged and to get it working you'll have to find the repair parts needed and head to the top of the parking garage. The small red button will convert purified water, coolant, homemade coolant(Crafted at a chem station) and class A coolant (also crafted) placed in the apposite receptacle into coolant units, which are consumed when travelling in relation to the distance covered. Time will also pass when travelling. Note that the VTO is way faster than fast travelling on foot and it should't take you more than an hour to get wherever you need to be. When travelling there is 10 % chance of something breaking. To counter this make sure to have repair materials on board (like adhesive, plastic, rubber, steel and screws) when travelling. Note that one of the possible malfunctions may be harmful for the player. 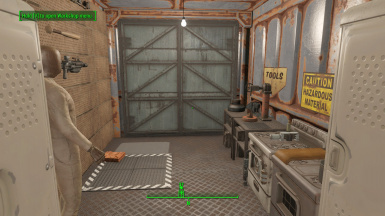 An activator placed on the outer side of the VTO allows you to access the workshop container from the outside. There is a particular holotape that can be found in game (in a place where flying things around was considered a job, can you believe that?) that you can program from inside the VTO and unlock the option to control the VTO remotely using such holotape. 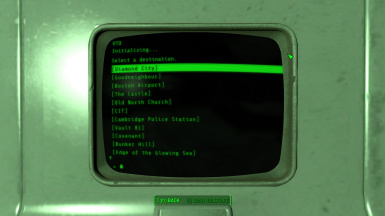 You can access the interior navigation terminal remotely, or you can have the program look for a landing spot near you for the VTO to travel to. Be careful when using this remote control device since malfunctions can and will still happen, so you might send the VTO somewhere far away only to realize when calling it to you that something broke. (I guess that means you're on foot). 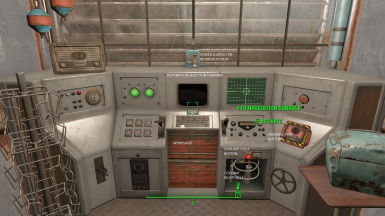 You can furnish the inside of the VTO as you please, but consider that the space is limited and crafting station might need to be fiddled around to allow the animations to play properly. 5 new models for crafting stations were added, they are more compact than their vanilla counterparts to make better use of the space you have. DLC added furniture will work inside. The VTO uses the same list of placeable objects Home Plate uses plus the stations mentioned above, 2 new space efficient beds and a barber chair. 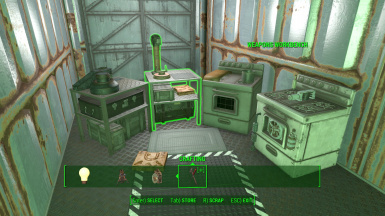 All placed crafting stations will of course have shared inventory. The interior is navmeshed so companions can follow you inside and sandbox around, but given how dynamic the travel system is they make take a few seconds to catch up with you when leaving the VTO(the exterior navmesh was not altered). TRAVEL DESTINATIONS:All major inhabited points of interest plus all of the settlements. 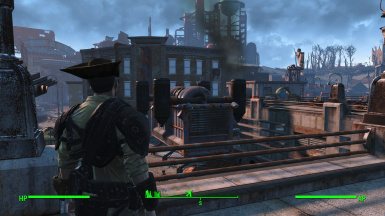 All locations have to be discovered first and settlements require the player to own the local workshop. 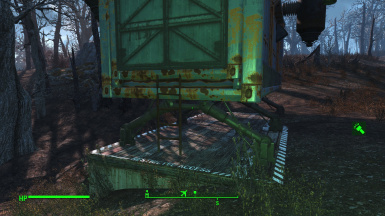 -This Mod does not add constructible objects to any settlement other than the VTO. -The VTO is not a settlement, you cannot attract settlers, send supply lines or companions there. The building restrictions are the same of home plate (this can be subject to change if requested). -The VTO has no flying controls or animations, it just fades the game to black and play sounds FX when operated. -Inclusion of all DLC content. 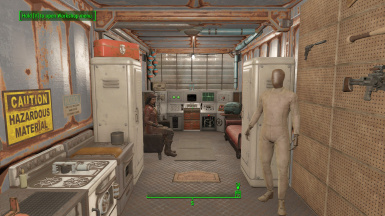 -Deacon gets naked inside of the VTO.I guess it has to do with how he tries to disguise himself all the time.I'm looking into this. -Calling in the VTO on your location may require you to close and reopen the control holotape (So you can move out of the way in case the destination gets placed to close to you). This is not a bug as much as a minor annoyance. I'll see if I can make this function more seamless. -download with manager or extract the contents of the archive and place esp, textures folder, meshes folder and scripts folder in your data folder. If you enjoy the mod please endorse,consider uploading images or videos too. 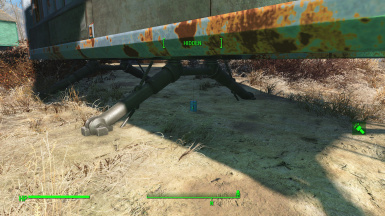 Repair parts lcoation : sewer exit from Corvega. Remote Control tape:Boston airport control tower.